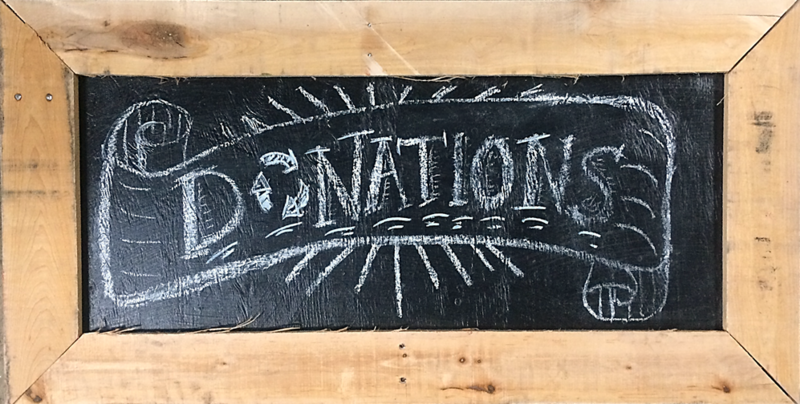 Home » Antiques & Vintage » July Specials: Lighting, Appliances, Orphan Cabinets & More! July Specials: Lighting, Appliances, Orphan Cabinets & More! Please note: Some exclusions apply. July sales do not include specialty items, items from our consignment vendors, items sold online, and items with missing or damaged price tags. This month, save on modern AND vintage lights, shades & bulbs with orange or blue tags. 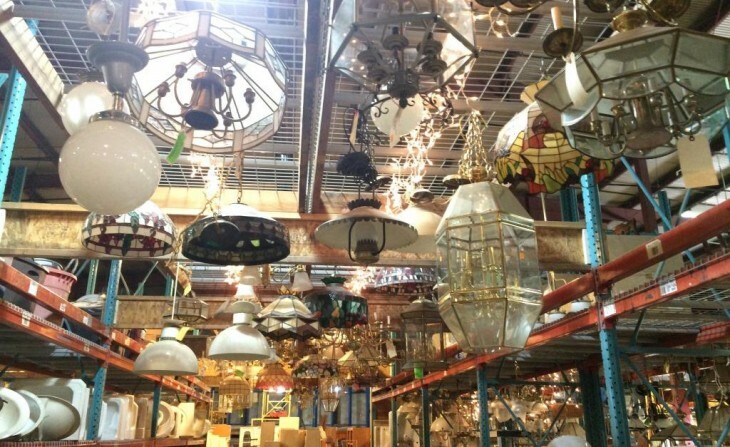 Sale includes a large variety of chandeliers, wall sconces, patio lights, lamps, and fluorescent fixtures – we even have some surplus lights that are still in the box! Sale does not include light parts, electrical supplies, or ceiling fans without lights. 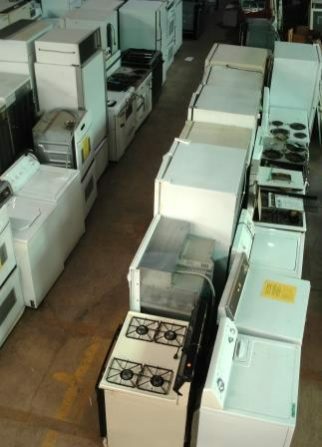 Sale includes modern AND vintage washers, dryers, stoves, fridges, and microwaves with orange or blue tags.. This sale does not include ALCO reconditioned appliances, water heaters, HVAC equipment, air conditioners, or other types of machines. 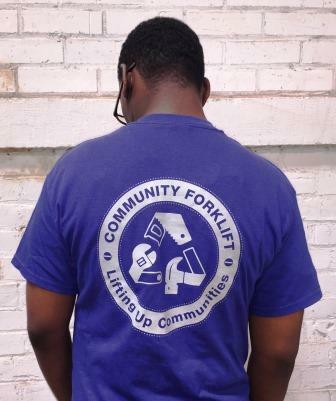 a Community Forklift t-shirt! Don’t have one yet? They’re just $10 each, so pick one up at our front desk. Then, throughout July you can save 10% off any regularly priced items when you are wearing your shirt. 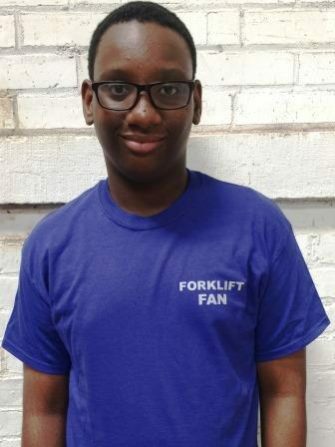 Thank you, Forklift Fans! We appreciate you! Kendall, one of our Port Towns Youth summer interns, models a crewneck style. We have mens’ crewneck and womens’ scoopneck styles available in small through 3X. They are 100% cotton! FREE ORPHAN CABINETS, DOORS & DRAWERS! 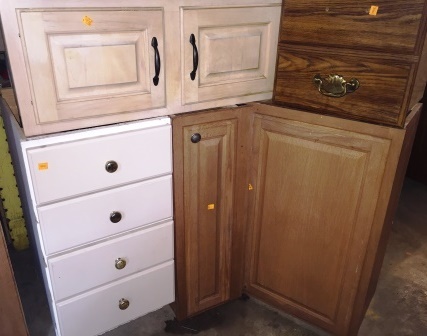 Giveaway includes kitchen cabinets with orange price tags of $15 or less, as well as “orphan” cabinet doors & drawers. Limit 3 cabinets per household, and 10 cabinet doors & drawers per household. Giveaway does not apply to cabinet sets, vanities, or other types of furniture.